I love rice paper rolls... but Jesse? Well, I think it’s safe to say he errs on the side of caution hating them. The list of reasons goes on and on... they’re chewy... they taste like plastic... the texture... they’re just plain weird. 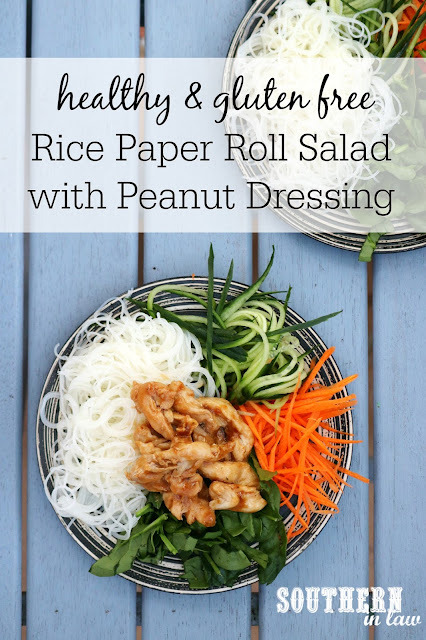 But I’m not a short order cook and I'm not cooking a bunch of different dinners - so when I feel like rice paper rolls, I’ve got to get creative.... and that’s where this rice paper roll salad comes in. You see, I’ve found a loophole. While Jesse hates rice paper wrappers, he’s okay with rice noodles - and this salad has been a huge favourite since the very first time trying it. Best of all? It’s so much easier than making rice paper rolls too! And now that daylight savings has given us a little more light in the evenings? I had a chance to photograph it for you too. 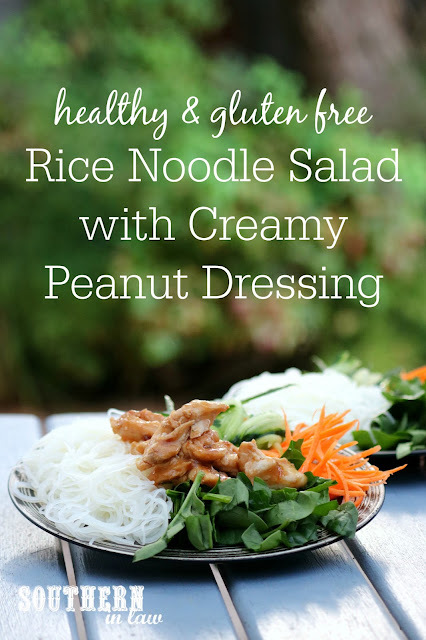 I suppose you could call it a Vietnamese Rice Noodle Salad - but we're sticking to what we call it at home. Assemble your prepared ingredients either separately on a plate as per the pictures - or add them to a bowl to mix everything together. *You can also add fresh coriander/cilantro - but only if you like it! If you want to add more veggies, add some thinly sliced snow peas or capsicum/bell pepper strips. Heat a non-stick pan over a medium high heat. Add your oil, garlic and chicken and saute until cooked through. Add in your coconut aminos/soy and cornflour mixture and stir constantly until your mixture has thickened. Season to taste and add to your salad. But tell me, what's one food everyone else seems to love but you just can't get? And what's one food you love but everyone else doesn't? I don't know what I don't like because the things I used to hate are now the things I love - but the one food I like that others don't is licorice!